All members of the Horticultural Media Association Australia are invited to submit entries to The Joy Harland Memorial Photographic Competition 2019. The competition, conducted by HMA Victoria Inc every two years, commemorates the photographic talent of the late Joy Harland. Joy is best remembered for her passion and excellence in horticultural photography. 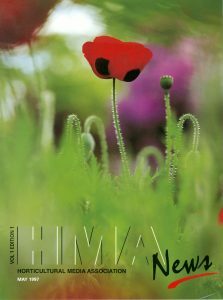 One of her iconic images graced the cover of the first issue of HMA News. Tony Fawcett’s “Remembering Joy” brings her memory back to life and highlights just what an amazing photographer she really was. Originally photographs entered in this competition were used for HMA News covers. Now the printed magazine is obsolete, images submitted may be used on the HMAA website and social media platforms. HMAA will not use them commercially. Copyright remains with the photographer. The 2019 competition will, for the first time, include four categories, with a winner being declared in each. Macro: close up of any part of a plant. Beautiful plants: a focus on any plant or collection of plants and may include insects in relationship to habitat. Creative imagery: taking horticultural into another world with any photographic techniques. Guidelines and entry information will be available shortly.